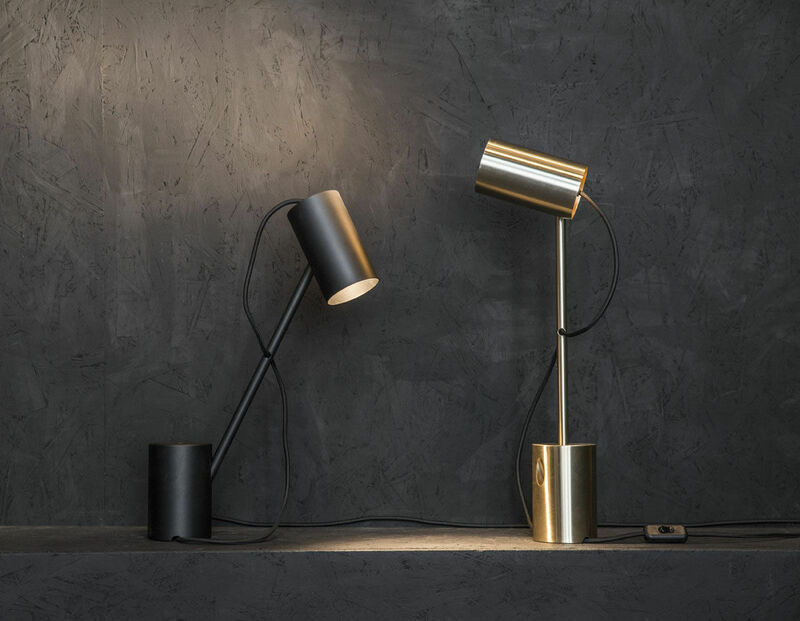 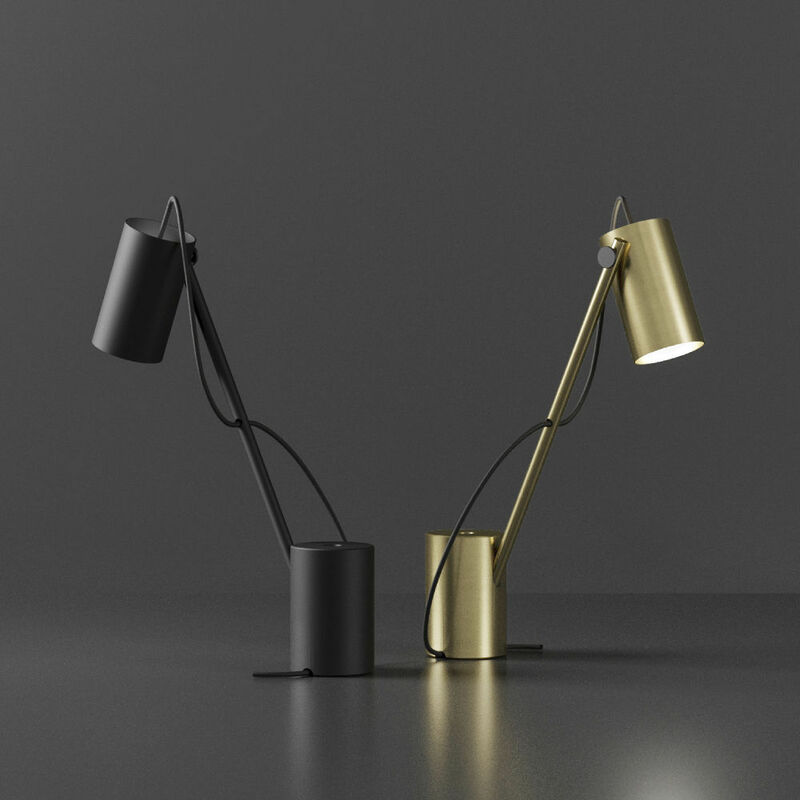 Reconfigurable table lamp with painted or brass finished metal structure. The heavy carved solid steel base guarantees optimal stability. 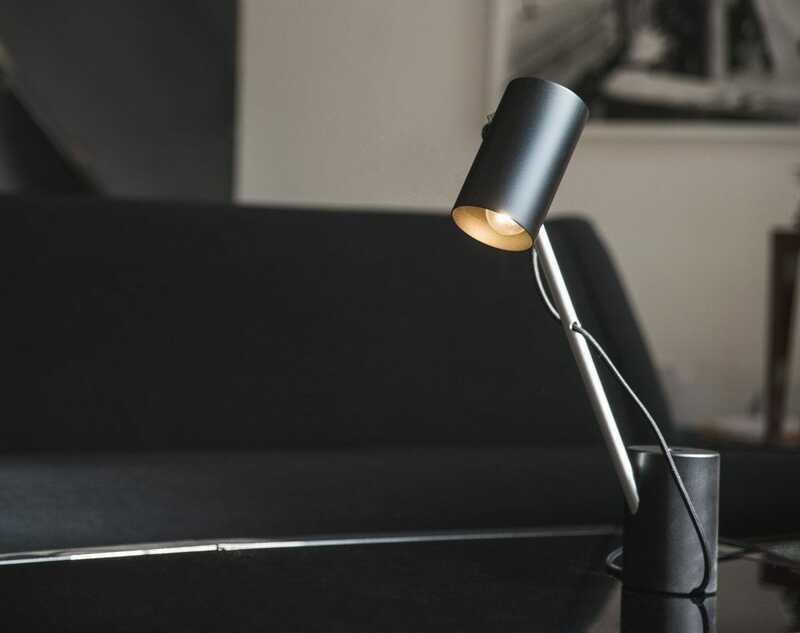 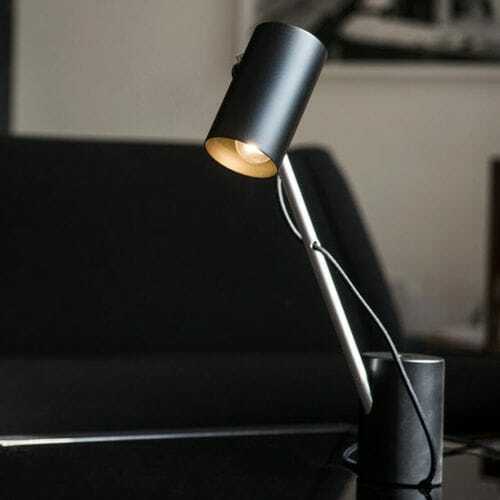 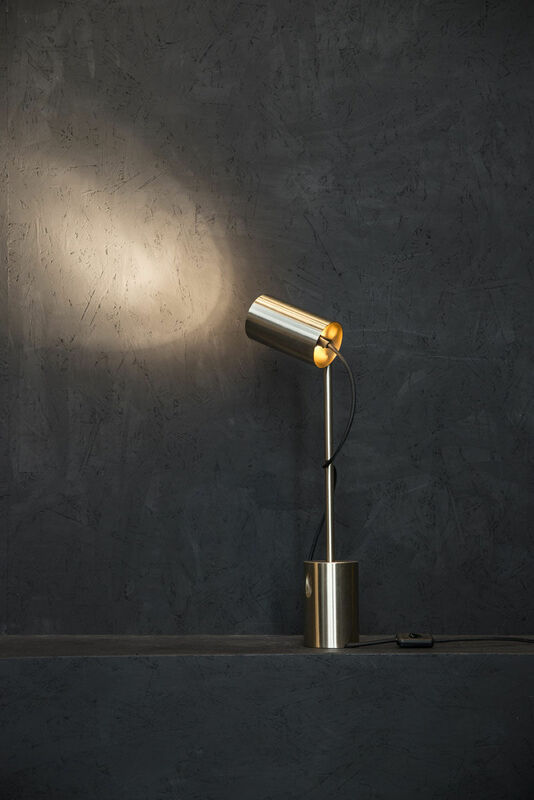 Thanks to the two holes on the steel base, the lamp can be used as a table lamp or as an ambient light.